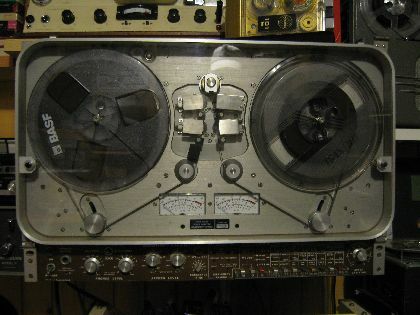 This Nagra TRVR machine has used by the British Military Intelligence (MI 5). It is presented by my friend, George Csoknyai, from the USA (he has given from his collection a lot of fantastic machines to the Museum). In 2,4 cm/s, in the slowest tape speed the frequency response is 170 Hz - 7 kHz! It has four tape speed, and it can to play there and back.